Possible Sentences strategy is a strategy that helps children learn new vocabulary and, at the same time, engages them in predicting sentences that they might possibly find in a text passage. Children are provided with new vocabulary words they will encounter in their reading, along with some words with which they are familiar. From these words they generate statements. They then attempt to verify the accuracy of their sentences as they read. In essence, the vocabulary words and the sentences generated from them serve as a guide for their reading (Moore & Moore, 1986, 1992). The Possible Sentences technique creates interest in the passage that will be read, as children become actively involved in learning and using the words to be found in it. Indeed, a study by Stahl and Kapinus (1991) indicated that Possible Sentences is effective in teaching vocabulary and promoting recall of passage information. Stahl & Kapinus (1991; Blachowicz & Fisher, 2002), Possible Sentences is the teacher chooses 8 - 10 words that may cause difficulty for their students in the targeted area of content text. The focus is on key concepts. In this strategy students are predicting how these key vocabulary words will be used in text. Possible Sentences is a structured language activity that requires children both to recognize the contextual setting of words and to produce their own contextual settings. However, there are some concerns that teachers need to be aware of before implementing a Possible Sentences lesson. Care needs to be taken to ensure that vocabulary can be defined by the context. Authors do not always provide explicit contexts in their writing, and this strategy requires that the context be one in which the meaning of a word is at least directly implied. In addition, the choice of vocabulary terms needs to be considered to conduct a successful lesson. 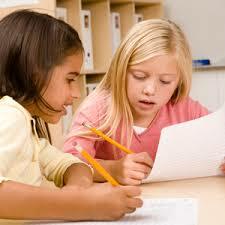 If only unfamiliar words are chosen from a passage, children will have difficulty generating sentences. Particularly with passages of a technical nature, it is essential also to list some words that will be familiar to children. Otherwise, children will not be able to use their prior knowledge to make connections between what they know and the unfamiliar words they are to learn. Finally, if too many technical words are found in a passage or if an absence of defining contexts is noted, then it may behoove the teacher to choose a different strategy or, even more appropriately, a different passage. Possible Sentences strategy provides children an opportunity to use all language processes as they learn new word meanings. Using their prior knowledge, children are asked to make connections between new and known vocabulary words and evaluate them. Children use speaking to express these connections; they use listening to hear other children's ideas and connections. They read to verify the possible sentences generated, and the refined versions are written in their vocabulary notebooks. Thus, children become actively involved in their new learning, experience multiple exposures to the new words, and use words drawn directly from their reading materials, all principles of effective vocabulary instruction (National Reading Panel, 2000). Belum ada tanggapan untuk "VOCABULARY ACHIEVEMENT THROUGH POSSIBLE SENTENCES (PS) STRATEGY"